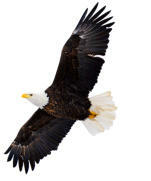 Eagles Nest Motel is an ideal choice for travelers passing through the Upper Peninsula of Michigan. Eagles Nest has 12 rooms, each with a mini refrigerator and microwave. We also have a room with a full kitchen with two beds. There is also a gift shop for Eagle lovers. Our motel has 6 one bed rooms and three rooms that have double beds. Our room rates are $49.99 for one bed and $59.99 for two. Our double room with a kitchen is 69.99. Discounts are available and setting a reservation before the actual date of the occupancy provides an additional discount. Book now and get a deal! For reservations, call 906-786-3405. We are only doing phone reservations at this time. 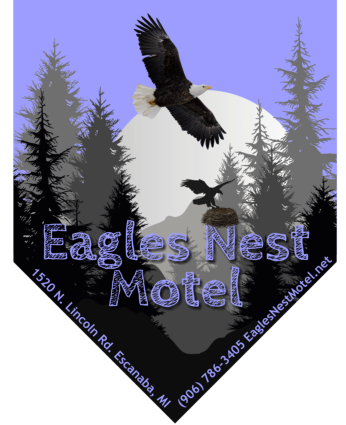 For questions or inquiries you can call or email eaglesnestmotel1@gmail.com. 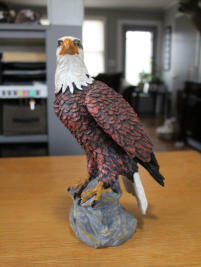 Our gift shop is supplied with a variety of eagle apparel and souvenirs. We also have Eagle’s Nest Motel apparel and souvenirs.